*Please Note: As an administrator, you will receive an email before your Business Digital Voice installation containing a username and temporary password for the My Account Portal. How do I assign Voicemail to phone numbers? 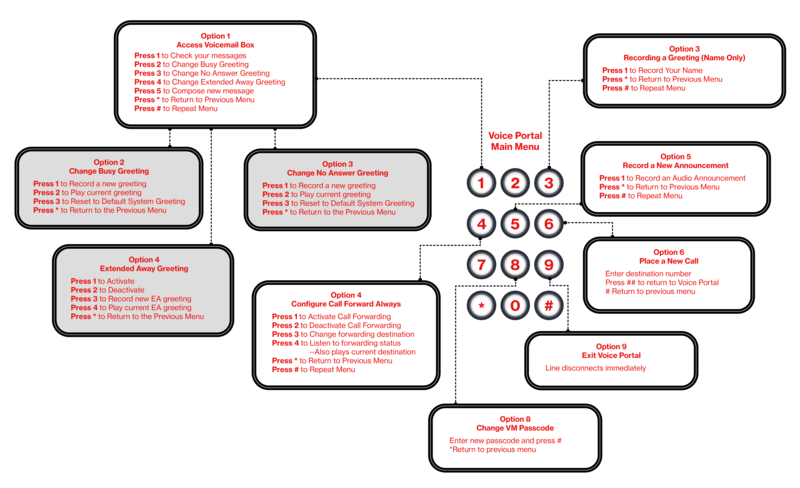 What are the Voice Portal Main Menu options (diagram)? How do I reset a User’s Password as an Administrator? A. How do I assign Voicemail to Phone numbers? 1. Once you are logged in, go to the My Site tab. 2. 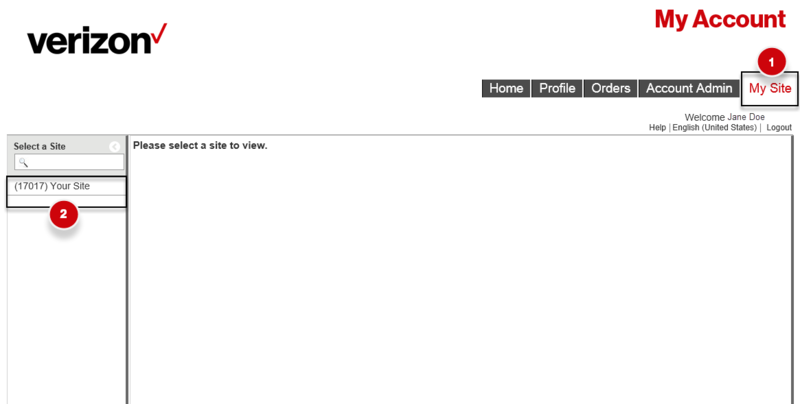 Then, select the name of your site. 3. Click on the Phone Assignment tab. 4. Double-click the phone number you would like to assign Voicemail to. 5. A new dialog box will appear. Click on the User Info Tab. 6. Enter the User ID and Email address for the My Phone account user. 7. Within 15 minutes, your user will receive with a temporary Voicemail password. VM_ Give a User VM Access or Reset Their VM PW from Blynk Vimeo on Vimeo. B. How do I access my Voicemail? 1. 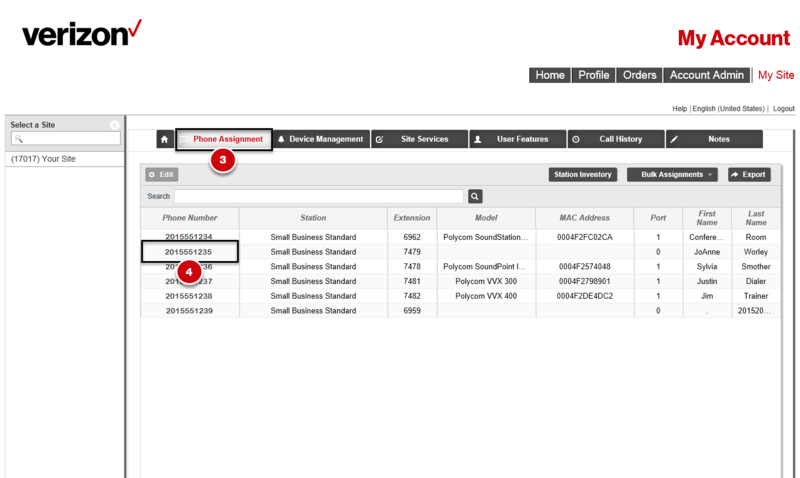 Dial your Voice Portal phone number or extension or press the Messages button on your Polycom phone. 2. Enter your temporary passcode from the email you received. 3. Follow prompts to change your temporary password. 1. 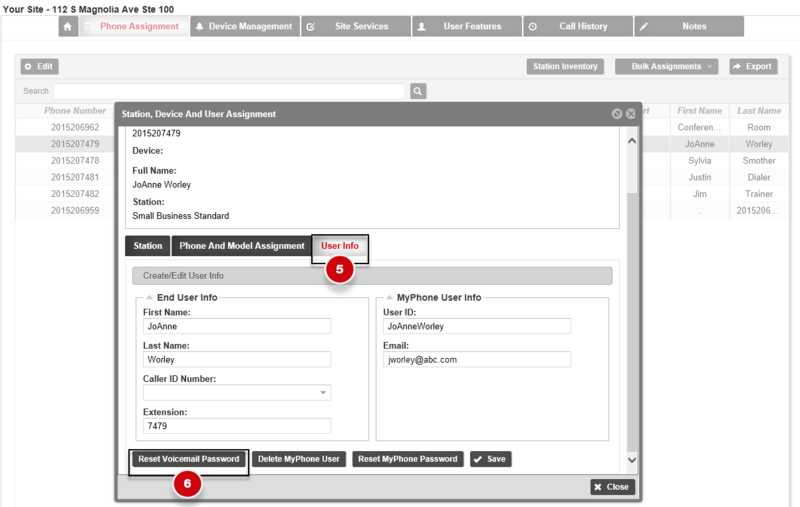 Dial your Voice Portal phone number or extension or the Messages button on the Polycom phone. 2. Immediately press the star (*) key. 3. Enter your 10-digit telephone number. 4. Enter your temporary passcode from the email you received. 5. Follow the prompts to change your temporary passcode. 1. Dial your Voice Portal phone number. 2. Once you reach your Voicemail greeting, press the star (*) key. 3. Enter your temporary Voicemail passcode from the email you received. 4. Follow the prompts to change your temporary password. C. What are the Voice Portal Main Menu Options? D.	How do I reset my Voicemail passcode from the My Phone portal? 1. Click the Profile Button. 2. Then, click the Reset Voice Portal Password Button. Your temporary Passcode will be emailed to you. 3. Use this Passcode to access your Voicemail box. 4. Once you have successfully accessed you Voicemail box, the system will prompt you to change your Passcode. E.	How do I reset a Users’ Voicemail Password as an Administrator? 1. From the My Account Home screen, navigate to the My Site tab. 2. Click the name of your site. You will be routed to the My Site Dashboard. 3. 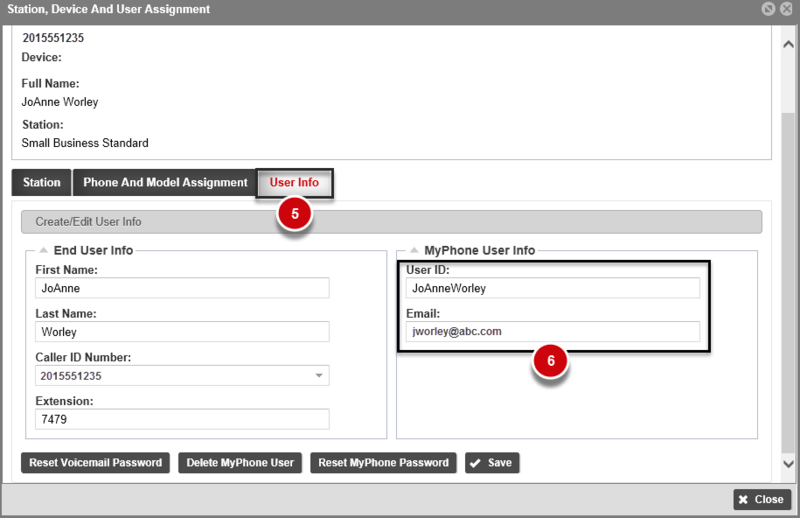 From here, click the Phone Assignment tab. 4. Double click the phone number you want to reset voicemail for. 5. A dialog box will appear. Next, click User Info. VM_Reset Users VM Password from Blynk Vimeo on Vimeo.